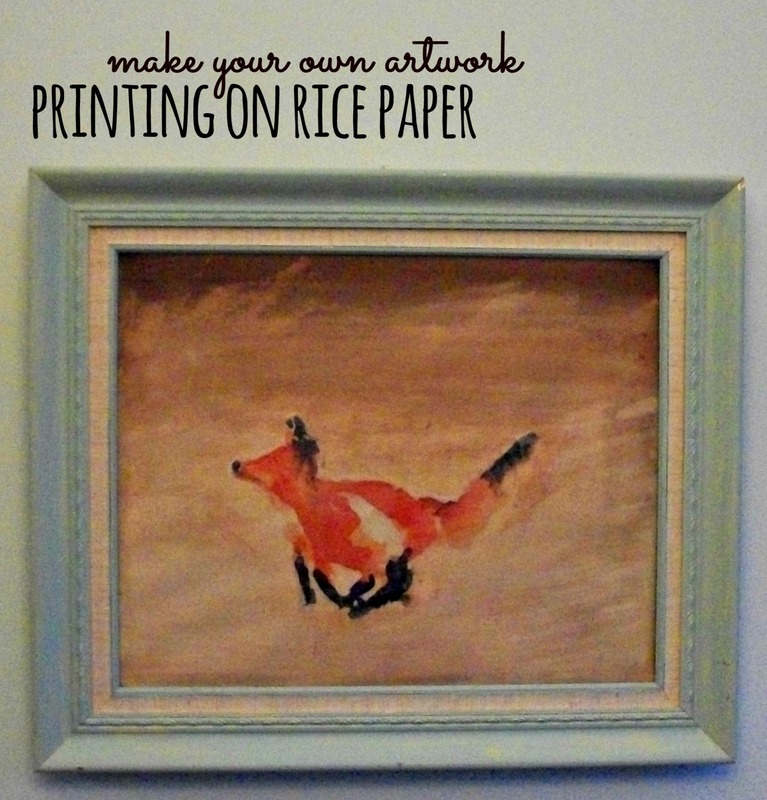 As I mentioned in my post earlier this week, I was looking for some simple decorations to put up that convey “winter.” I was browsing ideas, and it seemed that a fox would be a great addition. Now, I am not an artist, although I do try do make art from time to time (this usually confirms that I am not an artist). 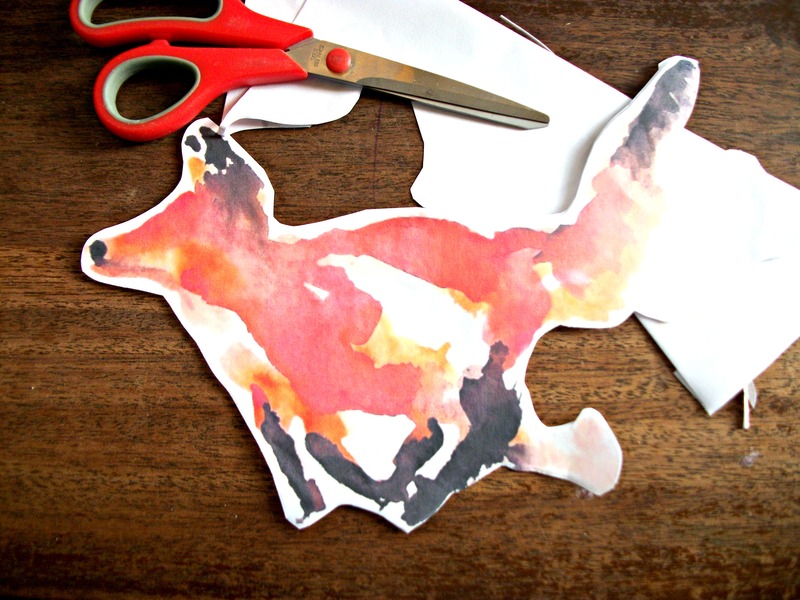 I was originally going to try and paint my own watercolor fox, but then I realized I would just end up frustrated. Rice paper is extremely thin (like tissue paper) and essentially dissolves when it gets wet, kind of like a paper napkin. I attached my rice paper around a regular sheet of copier paper with double-sided tape. Very conveniently, my rice paper was slightly larger than a standard sheet of paper, so I had just enough to wrap around to the back and tape down. Now that I think about it, I don’t see why you couldn’t just tape it down with standard scotch or masking tape. The point is to simply make it sturdy enough to run through the printer. I printed several images with my ink-jet printer to see what would work best in the location I wanted to use it in. I cut around the image that I chose. Normally I would have used a prepared canvas, but I was out of extras. So I used some old canvas cloth that I had. I applied decoupage glue to the canvas first. Then place the cut out image onto the glue and apply more glue on top. Work carefully because as the paper gets wet, it will tear very easily. I applied an extremely thick coat of glue over the image in the hopes that it would help the paper dissolve better. Although this definitely helped, what helped even more was after the glue was on very thickly, to take my finger and try to feather the paper out on the very edges. I wrapped the canvas around a piece of cardboard that I cut to fit inside my frame. For some reason, a small amount of ink smeared. This was a little annoying, so I had to figure out how to camouflage it. My solution was to add some paint to the entire background. Here is a closeup so that you can see how the paper looks. I didn’t feather out the paper as much around the nose, and you can see the paper edge there much more so than around the tail, for example. This was a fun project, and I definitely will be doing more things like this in the future. Next time, I’ll feather the edges very well (or cut right up to the edge of the image) and I will try to be more careful with the ink bleeding. Heck of a job there, it abtluosely helps me out.